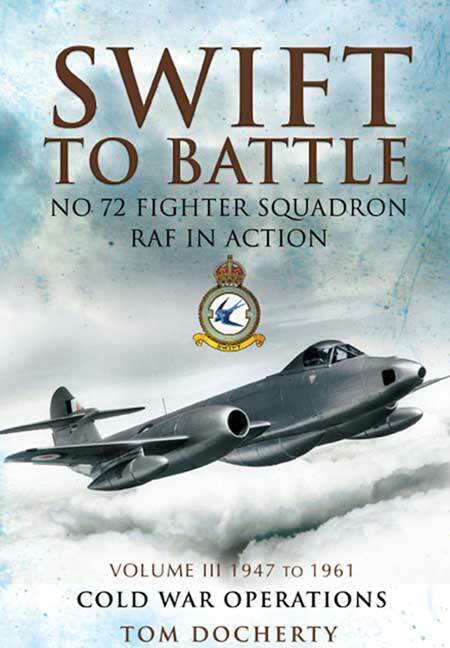 You'll be £19.99 closer to your next £10.00 credit when you purchase Swift to Battle: 72 Fighter Squadron RAF in Action. What's this? This third of three volumes traces the history of 72 Fighter Squadron, one of the premier squadrons in the Royal Air Force. The aircraft flown, operational personnel and missions flown are fully described with first-hand accounts from pilots and both air and ground crew. Having seen active service in the war years this volume covers the period 1947 to 1961 when the squadron was disbanded. During this period the squadron moved into the jet age at first flying de Havilland Vampires and then the Gloster Meteor F8s in 1952 and finally the Gloster Javalin in 1959 until the squadron was disbanded at Leconfield in June 1961.